The hotel combines the elegance of Old Spanish architecture with spacious resort accommodations and is centrally located on Upper State Street. With two lovely pools and a whirlpool, picturesque gardens and comfortable rooms, it's a great spot to relax and unwind. This lovely Best Western is located in Upper State Street. 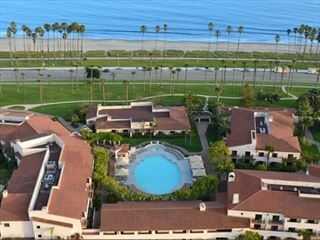 Downtown Santa Barbara, PGA golf courses and the Santa Ynez Wine Country are within easy reach. 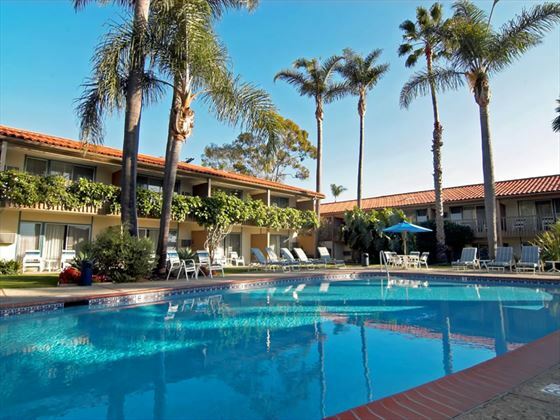 Adjacent to La Cumbre Shopping Plaza, an open-air shopper's paradise, and just minutes from beaches, restaurants and historic attractions.